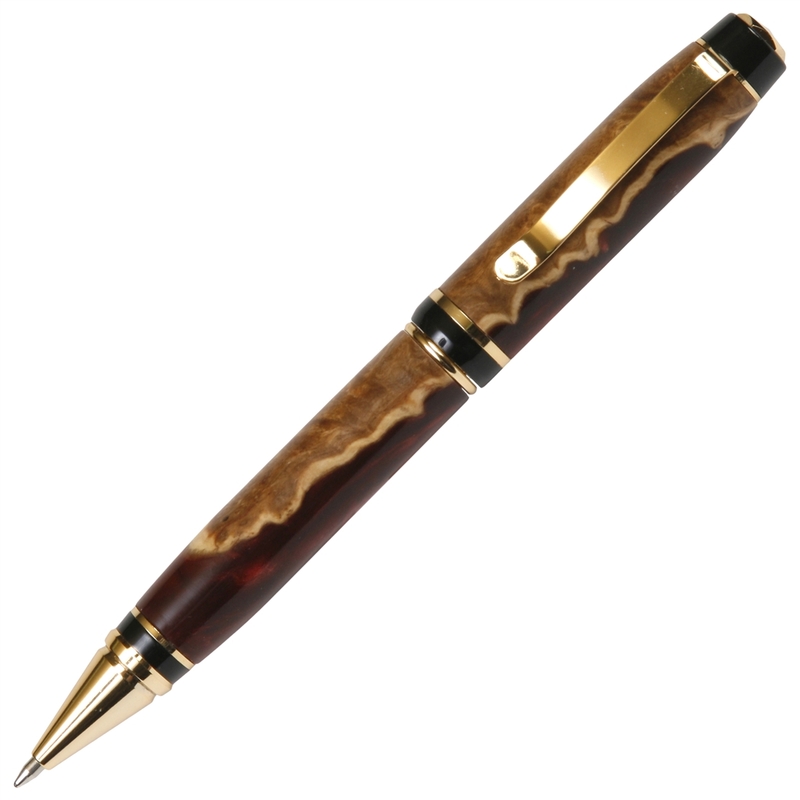 These big, beefy, well-built pens are always a favorite. Select pieces of Burl Caps and Dark Red Colored Alumilite are combined to create this beautiful Red Tide design custom writing instrument. Designed with strength and power in mind, the pen still fits your hand with elegance and grace and is packed with a Parker Style refill.